The coastal Algarve, Portugal’s southernmost region, is a great value destination on the Continent. But that's not the only reason to visit. Pousada Palácio de Estoi is a majestic pink castle. This estate was built in the late 1800s in Baroque style by the local aristocrat, Visconde de Estoi. The property has been a member of Portugal's pousada hotel association since 2003. The estate is grandly set in the hilltop village of Estoi, steps from the village square. 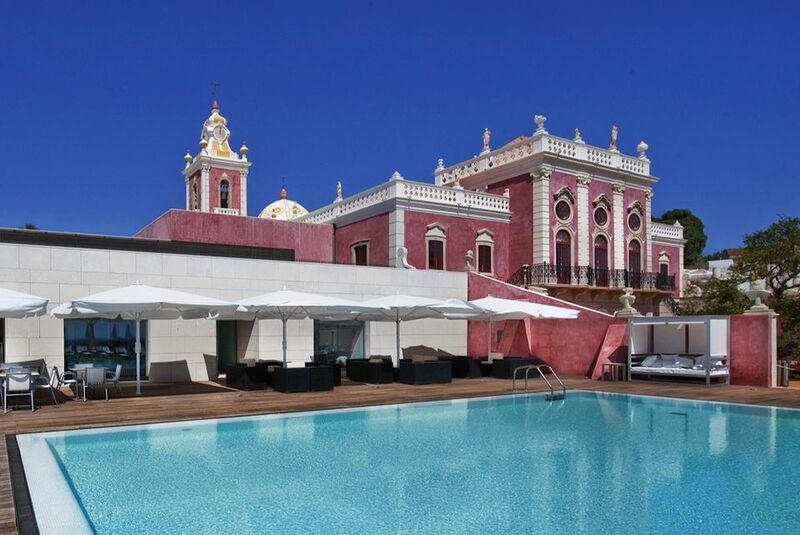 The Palácio, a Baroque-style gem, caresses the eye in shades of salmon-pink and sand-beige. Its 60 contemporary rooms are annexed to the original building, which is dedicated to lounging and dining. Pousada Palácio de Estoi is noted for its park-like surroundings. Palácio de Estoi is being painstakingly restored to its original grandeur. Tiles, frescoes, and small details like doorknobs and moldings have been lovingly repaired. The property serves refined Portuguese fare strong on local seafood. An unusual guest amenity at the Pousada Palácio de Estoi is its 150-foot outdoor pool. Guests can relish a massage or facial in the hotel's cozy spa. As is common in the travel industry, the Guest Author was provided with a complimentary visit for the purpose of describing the resort. For details, see our site's Ethics Policy.